Mr. Aftab was an Independent and Real Estate expert Director on the Board of ISE Towers REIT Management Company Limited during 2016-19. He was also a member of the Human Resource and Remuneration Committee of the Company. He is also serving as the SECP nominated Independent Director on the Board of Pakistan Mercantile Exchange, and a Board member of Saudi Pak Leasing. Besides, he also acts as the Honorary Secretary General of the South Asian Federation of Exchanges. He is also involved in international capital market consulting and IPO advisory work. As an independent director, he has played very productive role for the development of the Company. He is a certified Director from LUMS, an institute accredited by SECP for Directors Training Programme. 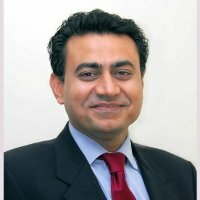 Mr. Aftab has earlier worked as the Senior Policy Advisor for USAID Pakistan’s Financial Market Development Project, which focused on modernizing and strengthening the domestic markets for Sovereign & Corporate Debt, Commodity Trading & Warehousing Receipt Finance, SME Capital Raising & Private Equity, as well as Innovative SME Lending Techniques. Before joining FMD, Mr. Aftab served as the CEO of Lahore and Islamabad Stock Exchanges, and COO/CEO Designate of National Asset Management Company in Pakistan., He has also been a Board/Committee member of some other capital market entities and bodies, such as; Federation of Euro Asian Stock Exchanges (FEAS), National Commodity Exchange, Pakistan Credit Rating Agency, JCR-VIS Credit Rating company, Institute of Capital Market and Pakistan Institute of Corporate Governance. Both at LSE and ISE, Mr. Aftab was instrumental in improving the market oversight and regulatory enforcement standards and led to the creation of a Unified Trading Platform between these exchanges. He also initiated the long-stalled construction of ISE Towers and LSE Plaza respectively, leading to the financial consolidation of these exchanges. He has also been the main driving force in bringing SAFE to its heightened level of recognition and progress where he vigorously pursued the objectives of cross border investments, regional financial integration, regulatory harmonization, development/launch of SAFE-Dow Jones index and the start of the Pakistani and Mauritius based funds linked to the respective country sub-indices of DJ SAFE index. Mr. Aftab has also worked on few advisory/consulting assignments related to the capital markets, infrastructure and corporate finance etc in the South Asian region such as for Infrastructure Project Development Facility in Pakistan, restructuring & privatization of Maldives Stock Exchange and Depository Company; system requirement identification for Chittagong Stock Exchange, Nepal Stock Exchange and the demutualization plan for the Chittagong Stock Exchange. Mr. Aftab has about 30 years’ experience in a variety of progressive assignments at different entities both within and outside Pakistan. He started his career as a commissioned officer, which he resigned subsequent to his MBA degree while on extra ordinary leave. He has also worked on a logistics assignment during United Nations Operations in Somalia (UNOSOM). Mr. Aftab holds an MBA degree from Nicholls State University, Thibodaux and is also a graduate of the Executive Management Program from the Stanford University, USA. © 2017 ISE|Website Developed By	Logical Key (Pvt) Lt.